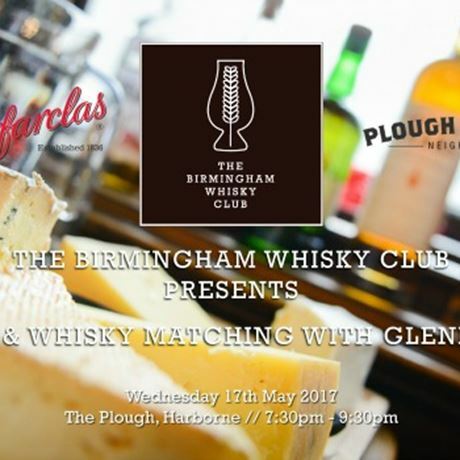 The Birmingham Whisky Club and Glenfarclas would like to invite you to to join them at The Plough on Wednesday, 17 May for a special cheese and whisky matching session, as part of the club's build up to World Whisky Day 2017. Learn about these delicious whiskies, try some fantastic cheeses and taste through a selection of delectable drams. Glenfarclas is renowned for producing Highland single malt Scotch whisky in the traditional Speyside style, with a heavy Sherry influence. The distillery produce a wide range of expressions from the mouth-watering freshness of the 10-year-old to the indulgent 30-year-old. One of the delights of Glenfarclas is exploring the subtle differences between the different expressions. Learn more about these whiskies with the distillery's brand ambassador and taste through a delicious selection of five drams. Tickets are just £30 (£25 for members of The Birmingham Whisky Club). 7.30pm – Tasting begins. 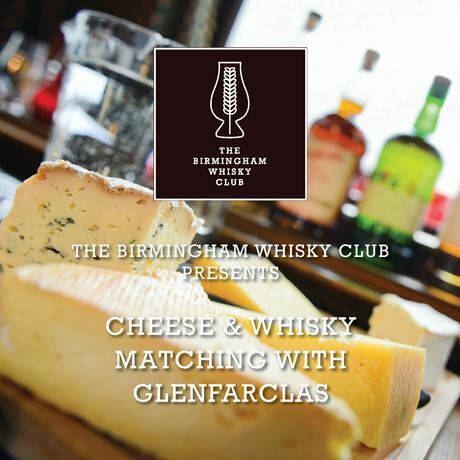 You will be led through a selection of different drams, matched to five different cheeses, by the experts from Glenfarclas. Plus, you'll have a chance to ask all of your burning questions throughout the session. 9:30pm – Although the tasting is over, please feel free to stick around. Anything you were afraid to ask? Grab our resident experts and have all of your queries answered.